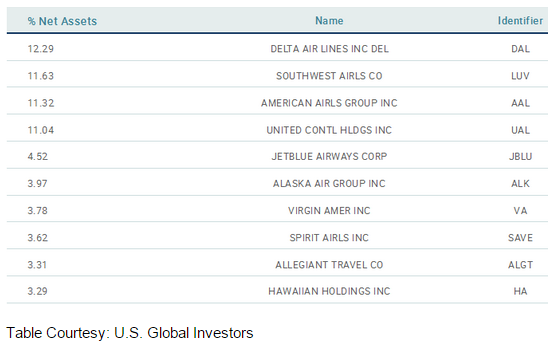 Airline ETF shares were created recently. These exchange traded funds allow one to trade the airline sub-sector of the broader transportation sector of US or international stock markets. These exchange traded funds provide a good addition for the list of exchange traded funds for every ETF Trader or active investor. I personally like to have one of the funds listed below in my personal watch list of exchange traded funds. 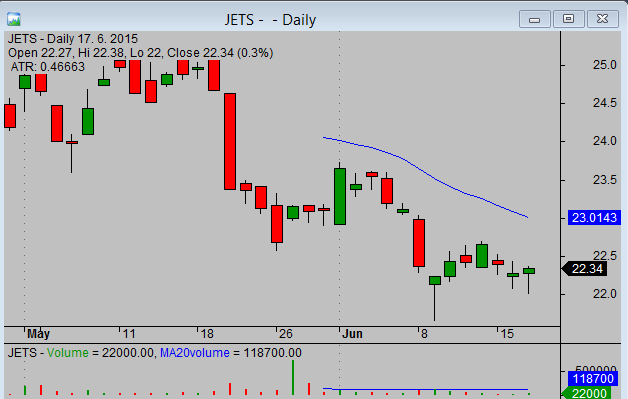 JETS tracks the U.S. Global Jets Index, which is comprised of U.S. and international passenger airline companies, aircraft manufacturers and airports and terminal services companies. The universe of airline companies around the globe is screened for investability, a minimum market cap of $100 million and liquidity. The underlying index will hold between 30 and 35 airline companies. 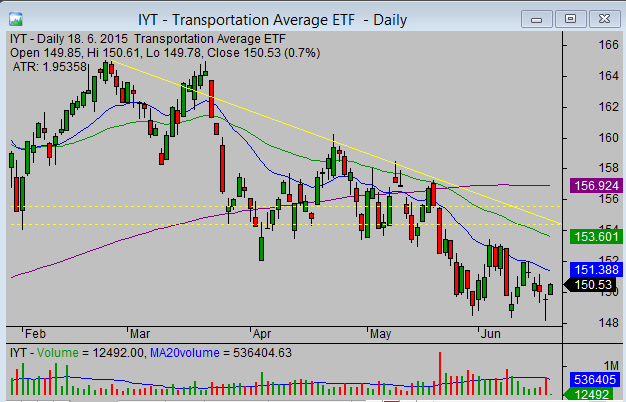 Airline ETF is part of the major transportation sector. 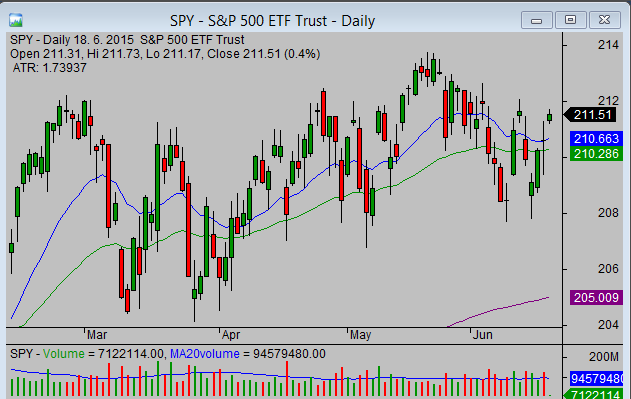 My major ETF Trading strategy idea is to use relative strength or weakness for ETF trading. I like to compare FAA with another sector ETF – Transportation exchange traded fund with symbol IYT and also with broad index ETF for the S&P500 index – SPY. The global situation described by the chart above is not very bullish over the past weeks. But it is possible to spot that Transportation sector is weak. Also JETS moves in a decline. It is much better to sell short airline exchange traded fund shares than make bullish trades. Investors tend to take attention to global prices of oil. This price is very important for profitability and the whole business of airlines. So it is obvious that when the price of oil is high – like above 100 USD – then investors do not prefer to buy airlines and these shares struggle in performance. Such a situation often could provide a very good short selling opportunity. So it is good to know what is current situation with Oil ETF shares and generally in the space of commodity exchange traded funds.